When I was at Durham I was in the disorienting position of having Tom Wright preach, lecture, and write about how Paul was threatening and challenging the authority of the emperor in my left ear, and John Barclay saying “Paul was not interested in Caesar at all; he is just a bit player on the stage of Paul’s battle against much larger and more important ‘archic’ powers,” in my right ear. I think Wright has admitted that earlier study of “Paul and Empire” was, perhaps, a bit overstated, but Wright has not backed down. Barclay has not made this matter his main concern in Pauline scholarship, but neither has he changed his view. I have to admit that I still lean towards Wright’s perspective. I had a fun and lively debate with the ever-gentle Joe Modica on this matter when I taught at Eastern last year. I remain unrelenting too! (see my review of and response to Modica’s edited work). 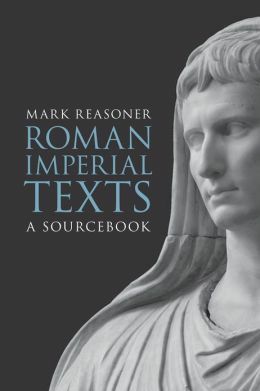 In Reasoner’s mind, then, it is worthwhile to know more about Roman imperial power, presence, and politics whether it is to see how the early Christians opposed empire (e.g., Deissmann/Wright) or simply ignored it (Barclay). Even though Reasoner tries to make the book appealing to both the Barclays and the Wrights, so to speak, he seems to favor a more Wright-ian approach. After all, he particularly chose texts and images for the sourcebook because he saw in them concepts “ideologically analogous to what we encounter in the New Testament” (5). At the very least, though, Reasoner thinks these texts open up windows on the world of the New Testament. That they do and we are in Reasoner’s debt. Roman Imperial power crucified Jesus and a bunch of the Apostles. To think that the Apostles were unconcerned about terrestrial powers but focused on archic spiritual powers is to misunderstand 1C conceptions of those powers, which were always seen as interrelated. It seems the Roman Imperial rulers, the _arches_, principalities and powers, etc. knew more than some modern day theologians like John Barclay. No need for disorientation from now, or NTWright, onwards.